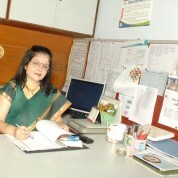 Hira is a maths teacher at Birla High School, Kolkata, India, where she advocates an integrated approach to maths education. Her innovative methodology incorporates activities such as origami, dance and music to visualize the answers in a playful manner. Her motivation to eradicate ‘maths phobia’ comes from her own experience as a child, having not excelled initially but improving greatly after her father played math-related games with her. She has introduced the use of technology into the curriculum to connect her students with other countries and cultures and to improve communication with teachers and parents. She was awarded Intel’s National Award for the Best Integration of Technology into Classroom Learning in 2004, as well as the Pearson Award for Teaching Excellence in Mathematics in 2012. This enabled her to train 300 teachers across Kolkata to adopt similar innovations.